Tag Archives for " Adespresso "
In 2016, however, it is one of the best, simplest, most affordable ways to create awareness, leads and ultimately clients for local and national businesses alike. I decided to write this post because every time something gets hot you see a rush of internet marketers ready to arm the prospectors with shovels and picks. Today’s variety is the $2,000 course that promises to bring fame and riches using some secret formula to tap unknown Facebook back doors and loopholes. Here’s the deal – the only Facebook secret is that advertising on Facebook is about as simple as setting up an email service or creating a blog post on WordPress. Sure, there are countless ways to make it complex and, even more, ways to wring every last drop out of it, but for today, I want to share a simple, doable, and valuable set of steps that will have you driving some serious ROI out of Facebook in very short order. See, the key with any new channel is to get using it so you can then decide how to use it better. If you listen to many of the Facebook gurus, you’ll hear that you need to create 357 ad variations, each with a different trip wire, all leading to a complex matrix of upsells and down sells. 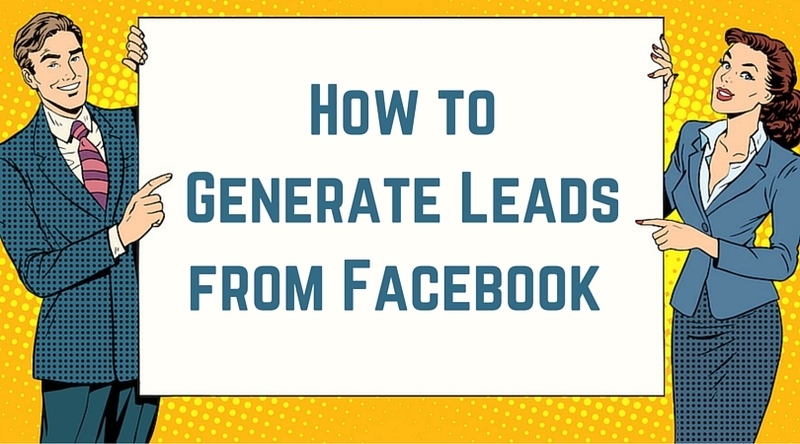 While that may be a valuable approach for the person selling a Facebook course, I’m guessing you would rather generate some high-quality leads today or tomorrow rather than six months from now. When setting up your Facebook ad account, you will need to add a form of payment such as a credit card or Paypal account and information such a spending limit. If you want someone else to create ads for you or manage your account, you can add account roles in your ad manager settings. Getting set up with the Facebook pixel is a 2-step process. Enter a name for your pixel. There’s only one pixel per ad account, so choose a name that represents your business. Keep in mind you can only create one Facebook pixel per ad account. If you already have one, you won’t see the Create Pixel button. Click the code to highlight it. Right-click and select Copy or use Ctrl+C/Cmd+C. Go to your website’s HTML and paste the code. If you use WordPress you can paste this code in the same place you likely pasted tracking code such as that for Google Analytics. This varies from theme to theme. Here’s some great information from Facebook on the many things you can do with the Facebook Pixel. With the Facebook Pixel installed you can begin to tap what I think is the real magic of Facebook – something called a custom audience. Think of it as a way to tag everyone that visits your website or takes an action so that you can then adjust what you do specifically for them. For example, if someone visits your website two or more times in a two-week period there’s a good chance they are a prospect. With custom audiences, you can build an audience of these folks and set up ads just for them. Now, don’t get overwhelmed here because you can do all manner of ninja things here but let’s start simple. Further down in this post I’m going to suggest that you systematically create some blog posts that you are going to use for this approach. We are going to advertise these blog posts and build custom audiences of people who visit these pages. The beauty of this is that the visitors don’t have to sign-up for anything or download anything for us to know they visited the content. Lookalike audiences can even be built from your current list of email subscribers or customers. Imagine that – you’re a remodeling contractor with 1662 email addresses of past customers. Upload this list to Facebook and let them find other people in the exact zip codes where you work to show your blog post about the five tips to consider when remodeling a kitchen? Adespresso is a fairly low-cost Facebook advertising management tool that is worth every penny in terms of making your life easier. The tool is so much more intuitive than the Facebook Ads Manager or the ridiculously unintuitive Facebook Power Editor. Also, the Adespresso Guides are as good as many paid courses. Okay, you’ve got the Facebook side pretty much set up so let’s go to work driving traffic and leads. To execute this plan, you should commit to writing one very useful, very practical, information rich blog post per month for the next 12 months. Here’s an example of a post on Writing Better Blog Posts that we’ve used for this very approach. For each post, you will need to create a simple one-page checklist or case study to offer as a lead capture device. Most of the traffic you drive to these posts using Facebook ads won’t know much about you or your services so trying to offer an eBook, long video or free evaluation session usually won’t convert well because there is little trust vs. the investment they would have to put in to decide to read an entire eBook to see if it’s any good. Checklists are easy to consume and convert very well. Make the checklist available via a content upgrade using an inline form through a tool like Thrive Leads. This post on building a Lead Generation System makes use of this technique. 6) Once you have your first post and upgrade completed and set up – Start running ads! Simply create a status update pointing to your handy post, boost the post for $30 and see what happens – then start to analyze and tweak. Don’t get paralyzed by the array of things you could do, the advice of Facebook gurus, or ads claiming to show you the secret sauce – just start driving traffic. You can start very slowly and learn by doing rather than getting frustrated by the “perfect” approach. I’ve seen this approach generate leads for as little as 30 cents and generally less than a dollar. And I’m not talking click or page views; I ‘m talking about sign-ups to get your awesome download. Since you’ve targeted this audience do well in the first place these are likely going to be high-quality leads. So, could you work with 100 high-quality leads a month for less than $100? Of course, the whole point of generating leads is to build enough trust with this group that they want to become customers. The first thing you want to do is ask your new list members what they want, what they can’t find, what they are trying to achieve, or why they opted for your content via a poll or simply ask them to tell you from a list what the most useful next piece of content should be. Now you can create or use an existing series of more significant information shares such as a video series, expanded case study, screencast tutorial or ebook based on the listed topics above and use an email automation tool to offer up the content requested. From this point, you can start to have conversations via email that slowly reveal your ability to guide your subscribers on the journey to get what they want because they’ve told you what it is and you’ve clearly revealed you have the knowledge, experience and empathy to help them get to their destination. That’s the essence of lead conversion, and it’s a pretty simple game once you’ve built this kind of trust.